HeadTurners3, LLC producer of the most lucrative and prestigious professional redfish tournament series in the county, The Elite Redfish Series visits some of the most exciting locations across the Gulf Coast with 30 of the country’s best inshore, saltwater, redfish professionals competing. 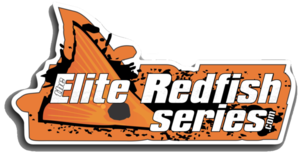 Follow the Skeeter/Yamaha Elite Redfish Series pros as they compete in high energy, 3 day events across the Gulf Coast, many taking place as part of festivals or other large format events. Join the Elite Redfish Tournament Series each and every Sunday and Wednesday night and be sure to catch all of the action by visiting their social sites. Pat Malone is best known as the host of The Elite Redfish tournament and television series. Pat has been a staple in redfish tournament television and a must-see fan favorite, whether live at the action packed tournament weigh ins or on air for the past 5 years. He has produced and hosted events from south Florida to south Texas and been responsible for single handedly bringing innovative ideas like the “hands free” measuring system to the sport. Now a staple for most redfish tours across the country. With a focus on bringing more sponsors and more sponsor support to the sport of professional redfishing than anyone else in the business of producing large format redfish events. As the owner, producer and host of the Elite Redfish Tournament Series, Pat takes viewers on a scenic and family fun filled recount of each angler’s day on the water. “My goal is to give each angler the respect they deserve, no big I’s and little U’s on this tour, if you pay an entry fee and compete at this level you are one of the Elite Redfish Series Pros and will be treated as such. Everyone has a story to tell, a sponsor to thank or a family member to say high to via our live stream. It’s my job to deliver the opportunity and format for each”.